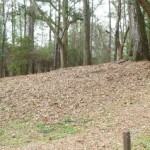 Velda Mound is an archaeological site located in northern Tallahassee, Leon County, Florida, United States. The site was first occupied by peoples of the Fort Walton Culture (a regional variation of the Mississippian culture) in the late prehistoric period and during the protohistoric period was part of the extensive Apalachee Province of the panhandle. 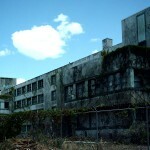 The site is now owned by the State of Florida and managed as a park. 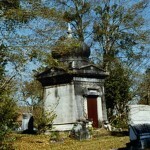 The mound is located in the Arbor Hill neighborhood within the sub-division of Killearn Estates. There are tales of ghostly Indians sitting by a fire at night, and a white, glowing wolf that prowls the premises. Locals swear they hear it howling, night after night. Being a Paranormal Investigator. It is not the smartest thing to do, to investigate anything that has to do with Indians. Bad things will typically happen and they just don’t understand and will usually try to harm you while protecting there land. This is just a subtle warning. Please beware. Wow, we just moved to this area. My daughter and I took a walk the other day with our dogs and I was surprised to find this mound park right down the street. Thought it was really neat and walked around it and even walked across the top of it. My daughter hated it, and couldn’t wait to leave. It is kind of in a wooded area. Anyway, later that night between 12-3 am my Son who is 17 awoke freaked out a little asking me what that noise was out side. We both heard it, and it was some kind of weird howling, like from a dog or wolf. Dogs can howl but don’t normally do so, I have heard the dogs around here bark occasionally, but not howl lke that. The night before the cats outside were acting really weired, and were so lound they woke me up also. I, and several people I know fairly well lived in this area before the place was marked as an archeological site and walked past it frequently. I sometimes noticed the plot, which I’m pretty sure in the early to late 90s only stood out to the observant as an unusual break in the housing units, a more heavily wooded place then. I think someone once told me they walked in there, but didn’t seem to know what it was. Other than that, I heard nothing of it until the last few years. I’m not convinced that anything spooky happens here until I can consider stories from people who knew the place before it was widely known as a native residence. Some seem to hear “Indian site” and are inspired by Poltergeist. I think I’m a healthy skeptic when it comes to the paranormal, though not a total disbeliever. One of my strangest experiences actually happened when I lived in the middle of this very neighborhood, something I just can’t let go. I, and others at different times saw a male-looking specter of relatively modern appearance. I’m not convinced it was a ghost, but it was strange. I’m a little curious about the history of that area, specifically within six decades before Arbor Hills development. I understand that it was used by the Velda Dairy for pasture in the 50s, but if anyone knows anything else, even if very mundane, reply!